Please Note: Our website packages are here to provide you with a guide on what we can offer. If this package does not suit your requirements we can easily cutomise your trip to suit your needs and preferences. 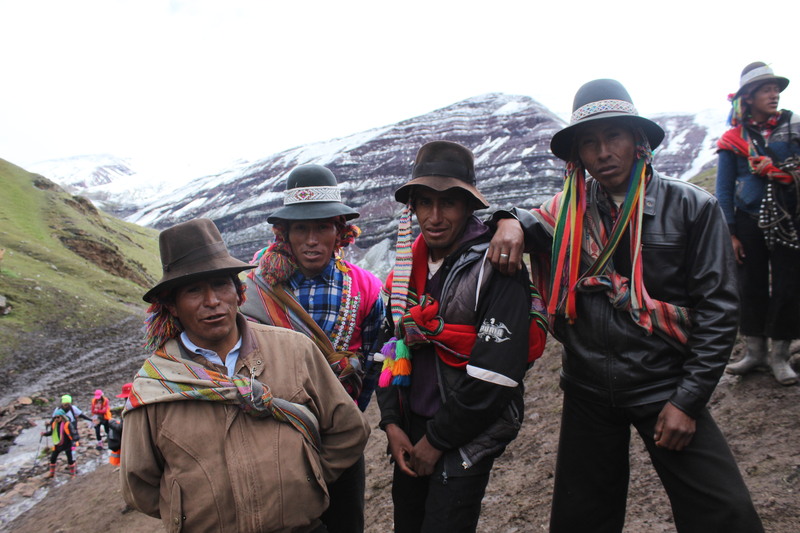 The beautiful Rainbow Mountain in Peru is a relatively unknown trek with limited information available online. 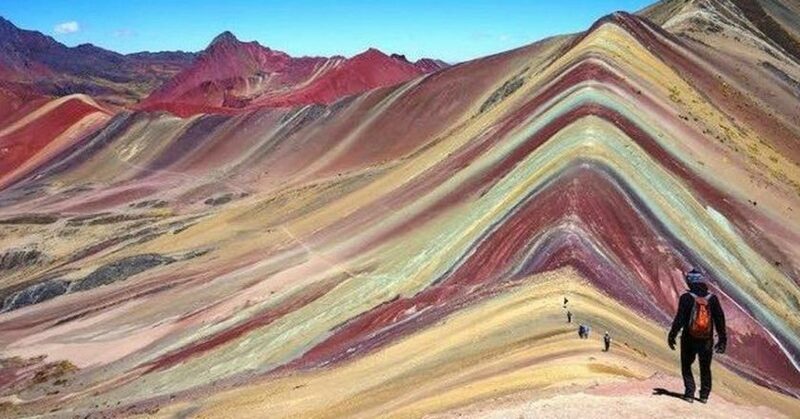 Rainbow Mountain in Peru is also known as Vicuña, which means rainbow in Quechua, the ancient Inca language of Peru. This special and stunning mountain range in the Ausangate region, nearby Cusco, gets its name from the many different colors displayed in its mountain peaks. These colors appear because of the various minerals in the soil of the mountains. You will be picked up from the hotel in Cusco at 5:00 Hrs, to leave on a private transport to the South Valley. Continue for 3 hours until you arrive at Combapata, where you will take the truck trail to the town of Palccoyo (4,202 m / 13, 789 ft). 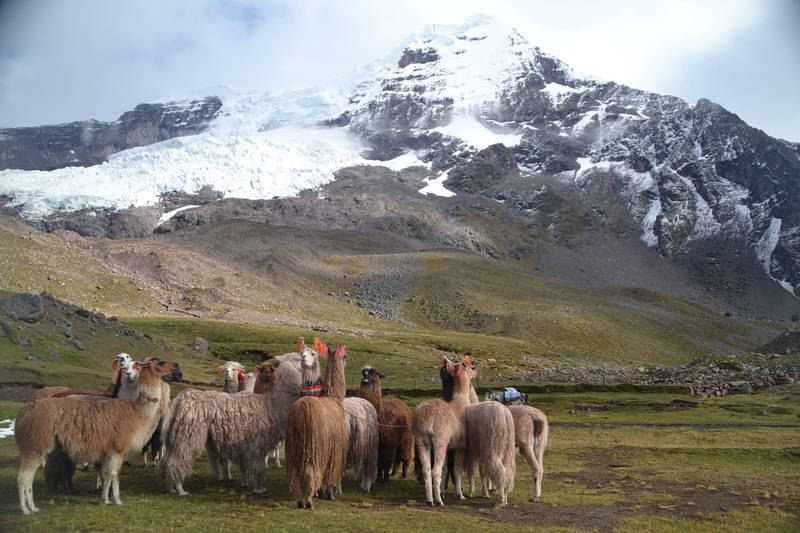 On the ascent to the starting point of the hike, you will begin to enjoy beautiful landscapes and you will see Andean camelids such as llamas and alpacas. The highest peak in the region, the Apu Ausangate, will let you see its majesty so you will be captivated by the mystique of the place, getting full of its natural magic. You will start to see different cultivation fields in the area, especially the potato and its different varieties, you will also have the chance to see wildlife such as chinchillas, vicuñas and maybe the Andean cat, which would be very lucky because they are in the process of extinction. You will arrive at Palccoyo and after getting ready for the walk and briefing by the guide, you will start the way to the top of the mountains to appreciate a wonderful landscape. After walking approximately 1 hour, you will reach the main attraction of this experience: Palccoyo, Montaña Colorada (4,980 masl / 16,338ft). Once in the place, you will participate in a small Andean ceremony with coca leaves that you will offer to the Apu for arrive successfully. Then, you will have enough time to explore the area and take pictures. After a short rest, continue exploring the area and walk for an hour to the forest of stones, very close to the area where you will find a magnificent viewpoint to appreciate in its splendor the Ausangate snow. Upon arrival, you will have enough time to explore a bit and take pictures with the wonderful scenery. After renewing the energies, the descent will begin on the same route where it came from. The return walk will take about 45 minutes, until you get the point where you will board the transport that will take you back to Cusco. After 3 hours of travel, you will arrive in Cusco at approximately at 16.00 Hrs. Minimum height of the route: 4,202 masl / 13,789 ft. Maximum height of the route: 4980 masl / 16.338 ft. Approximate walking time: 3-4 hours including visits and rest (the time depends on the physical condition of the passenger). The passenger will carry the backpack; we suggest that you carry equipment of light material. Thank you for considering South America Tours for your travel plans to Latin America! We'd love to speak to you. This is an information request and does not constitute a confirmed reservation in anyway. After we receive your enquiry we will contact you to talk about your specific travel requirements. CALL 1300 787 987 FOR BOOKING INFORMATION ABOUT OUR RAINBOW MOUNTAIN TOUR!